New Camera! Good Bye ISO3200, Hello ISO12,800! Home Event New Camera! Good Bye ISO3200, Hello ISO12,800! Its been a long time coming. 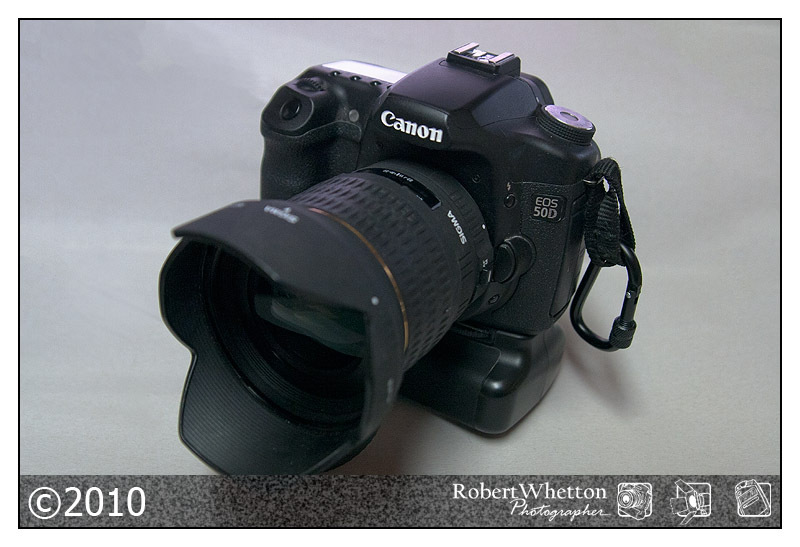 My 20D’s are nearly 4 years old and have racked up a fair amount of photographs between them. I seem to be shooting in darker and darker venues and ISO3200 just cant cut it.. I have no problem hand holding ridiculously slow shutter speeds with a long lens. But the shutter needs to be fast enough to freeze the action. So it was a toss up between a 7D or a 50D. I looked at the pros and cons of owning each system and after much thought I opted for the 50, why? well its only 3 megapixels less than the 7, when you’re shooting with a 15 megapixel camera, an extra 3 isnt much to worry about. I borrowed Gareth’s 50D for the day when we headed to Focus back in Feb and I was very happy with the results I got from using it. ISO6400 to me is very usable and even the pushed ISO12800 can be used if handled right. The 50D is a totally different machine over the 20D, improved focus speed, spot metering, weather sealing (not that I had any trouble with my 20D’s in the rain). rear screen is massive in comparison to my 20, and has live view which is very useful in certain circumstances. Something that I’ve found invaluable is the micro adjust feature. I can change the focusing point of each of my lenses, which I didn’t think I would need, but I went up north the other week and noticed after I shot some portraits of close friends that I’d not seen in a while that my 70-200 was front focusing and my 28-75 was back focusing. So with the help of the micro adjust I was able to get these lenses to focus bang on each time. 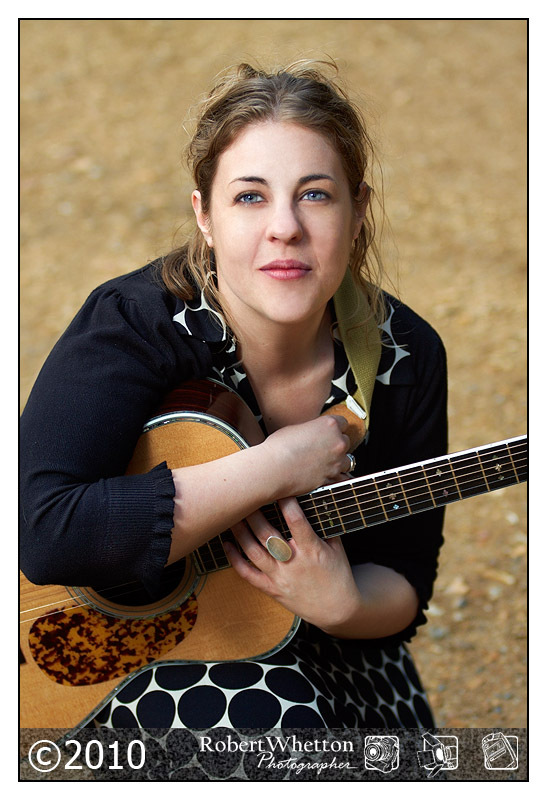 First session with the 50 was with Lou Brown, a local singer and song writer who has just launched her album Calm the Rising Waters. Lou doesn’t like having her photograph taken, but said after we were finished that she’d had fun. 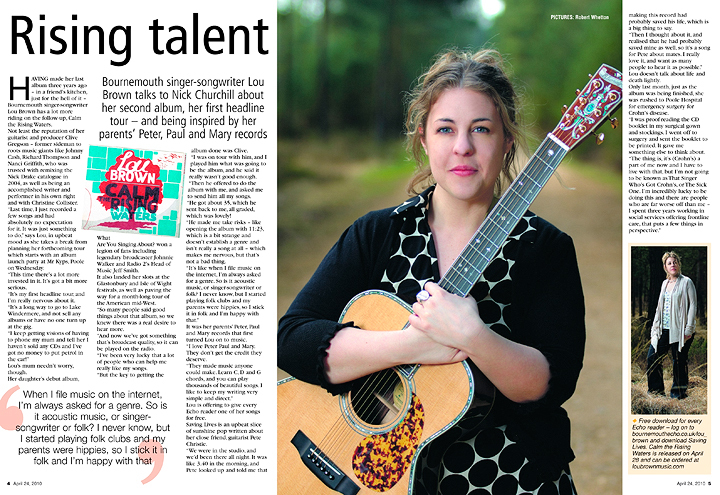 Bournemouth Evening Echo Double Page Spread.